Please fill out the form to the right to receive your free DVD. Your information will be kept private and is not shared with any third parties. Fill out the form below to receive your FREE DVD. NOTICE: Due to high demand, this item is temporarily out of stock. Please fill out this form to place your preorder, which will be fulfilled as soon as supplies are available. Send me more information on Scientology via email. 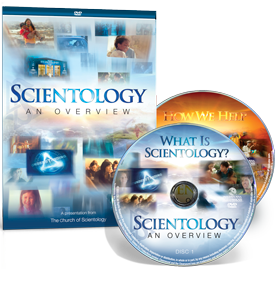 I would like to receive email from the Church of Scientology International.